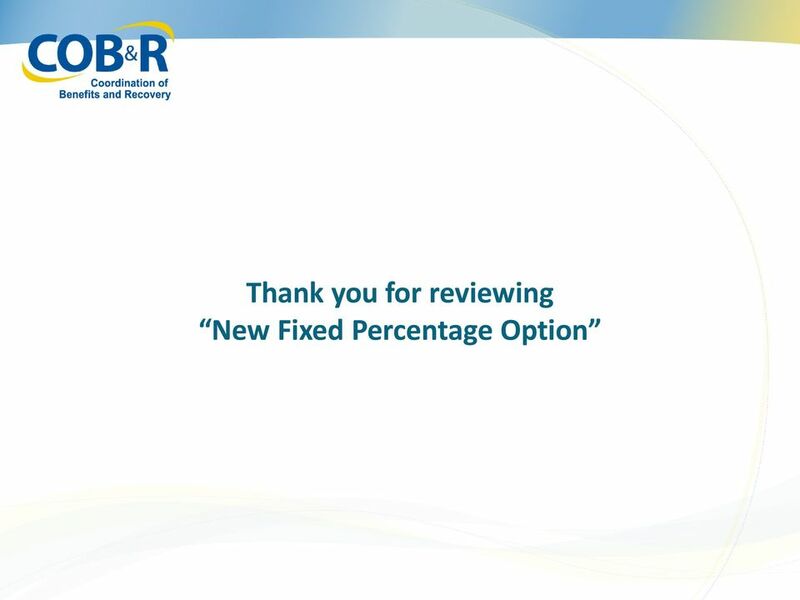 3 What Is the Fixed Percentage Option? 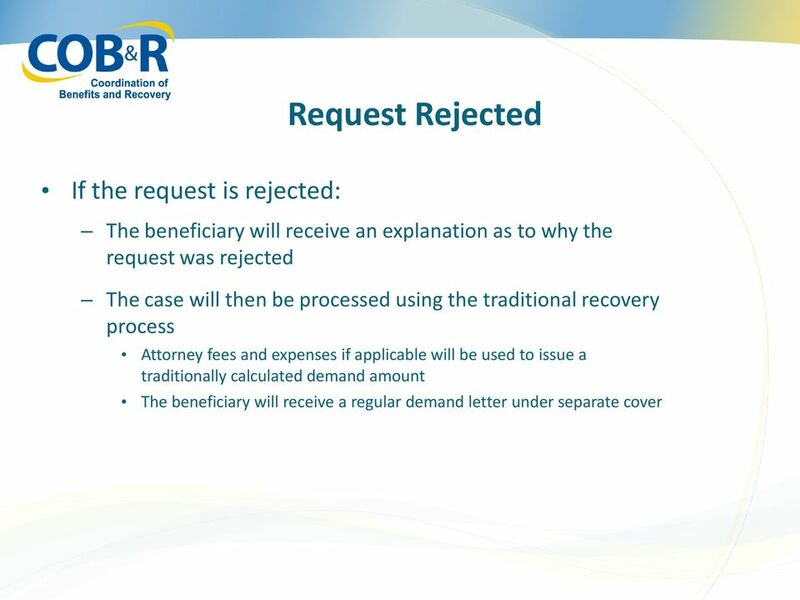 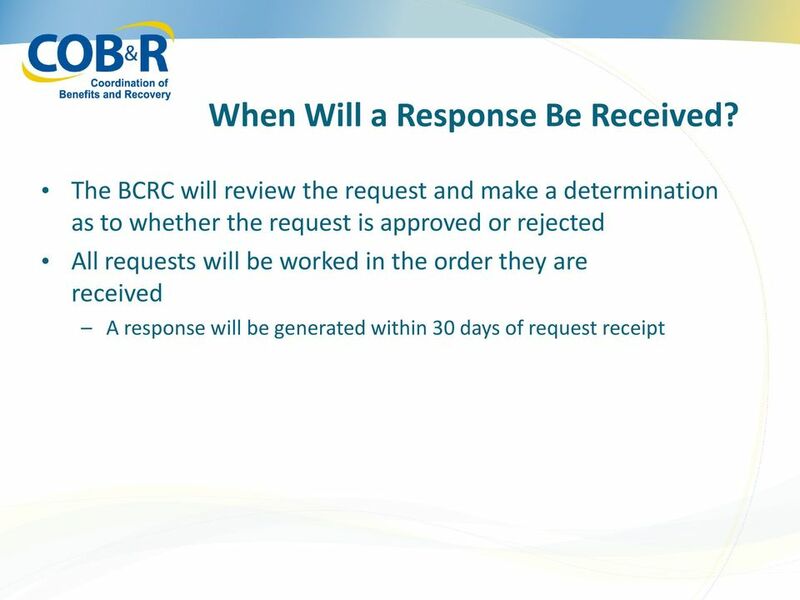 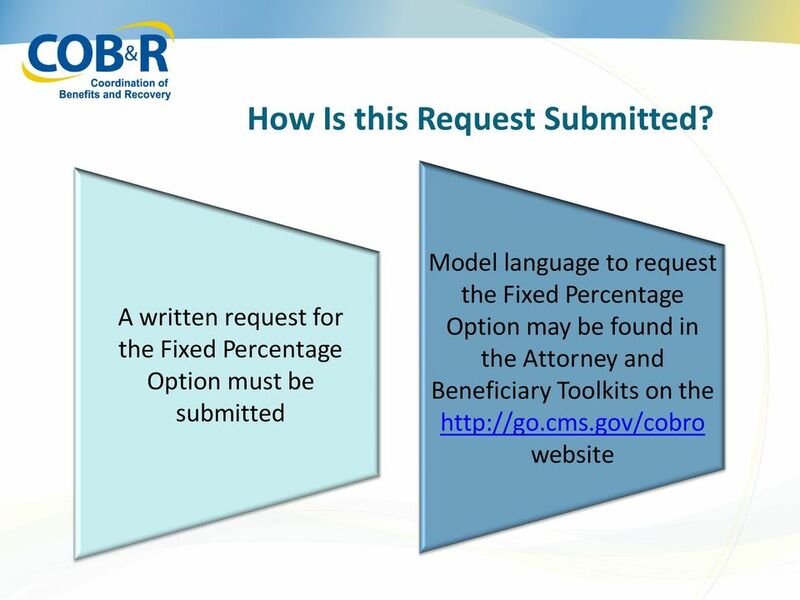 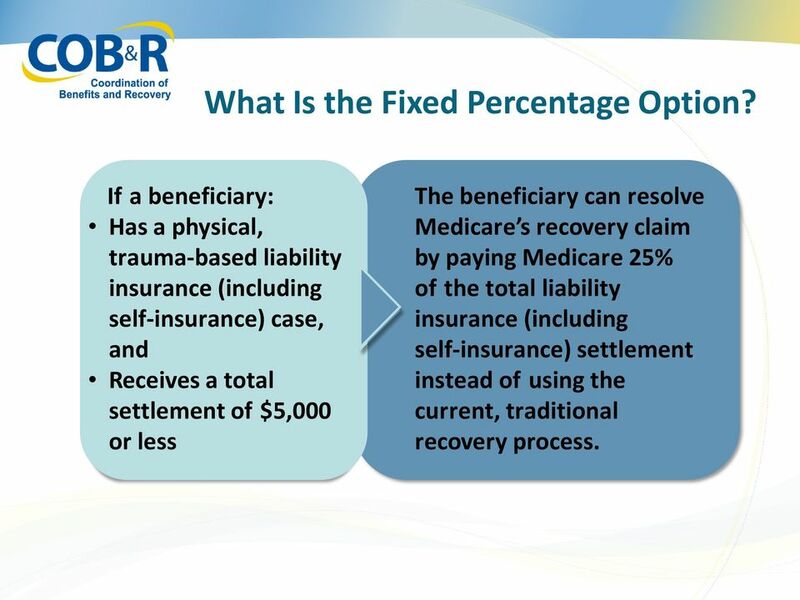 If a beneficiary: Has a physical, trauma-based liability insurance (including self-insurance) case, and Receives a total settlement of $5,000 or less The beneficiary can resolve Medicare s recovery claim by paying Medicare 25% of the total liability insurance (including self-insurance) settlement instead of using the current, traditional recovery process. 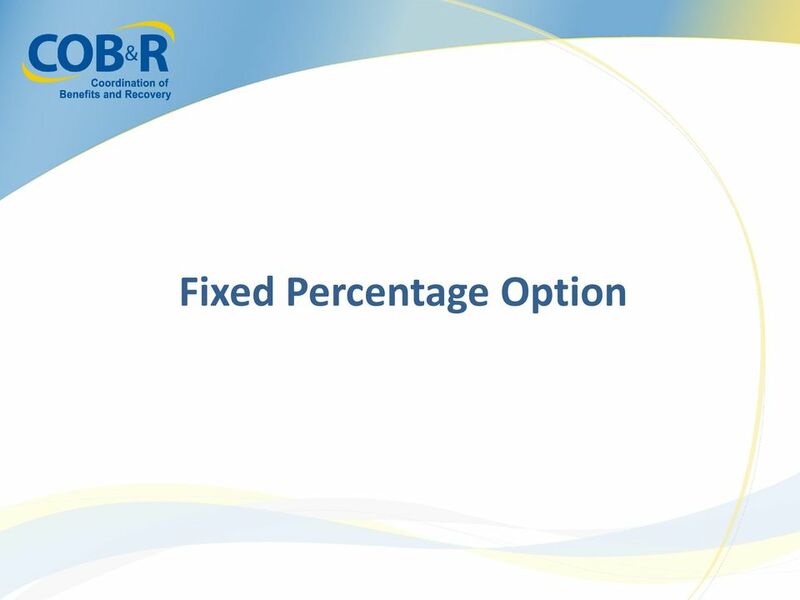 4 What Is the Fixed Percentage Option? 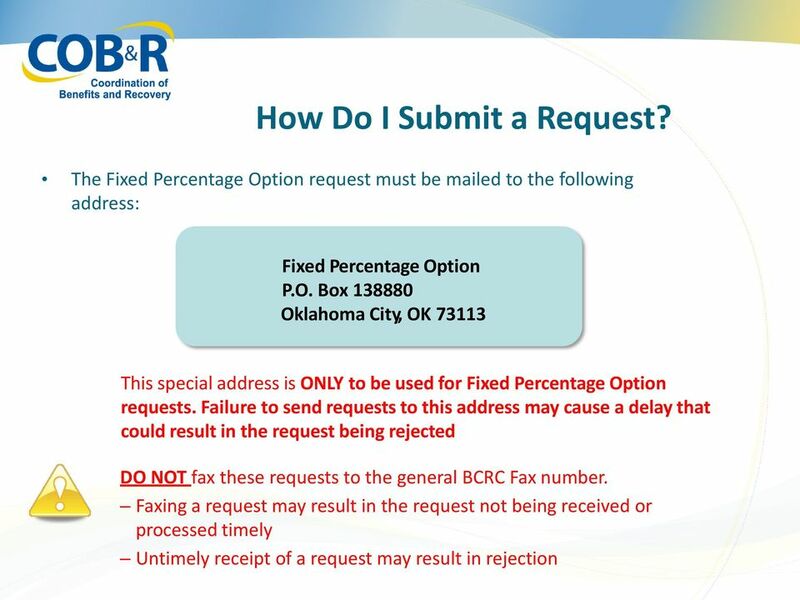 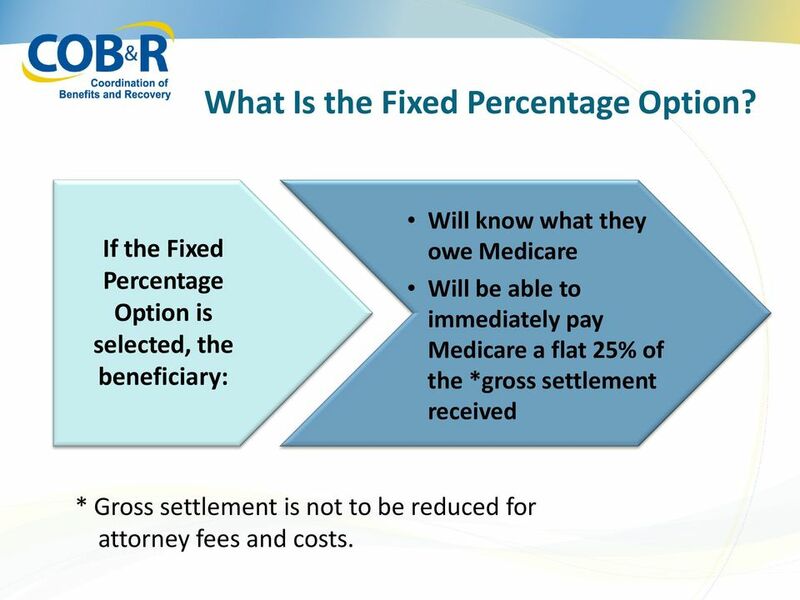 If the Fixed Percentage Option is selected, the beneficiary: Will know what they owe Medicare Will be able to immediately pay Medicare a flat 25% of the *gross settlement received * Gross settlement is not to be reduced for attorney fees and costs. 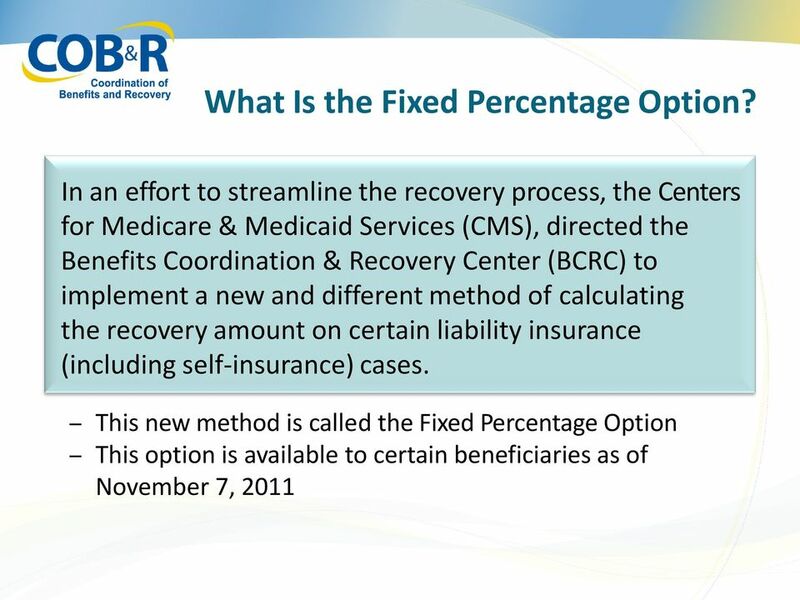 5 Calculating Fixed Percentage Examples Example 1 Medicare s conditional payment amount is: $16,665 Total liability insurance settlement is: $4,000 Attorney fee is: $ Amount due Medicare under the Fixed Percentage Option is: $1,000 Example 2 Medicare s conditional payment amount is: $3,055 Total liability insurance settlement is: $4,000 Attorney fee is: $0.00 Amount due Medicare under the Fixed Percentage Option is: $1,000 These two examples demonstrate that under the Fixed Percentage Option, neither the Medicare conditional payment amount nor an Attorney Fee affects the amount due Medicare. 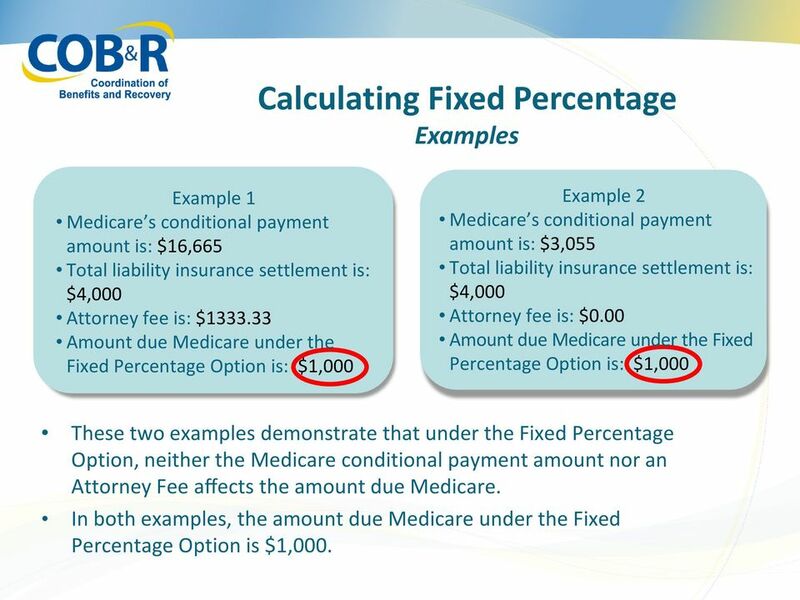 In both examples, the amount due Medicare under the Fixed Percentage Option is $1,000. 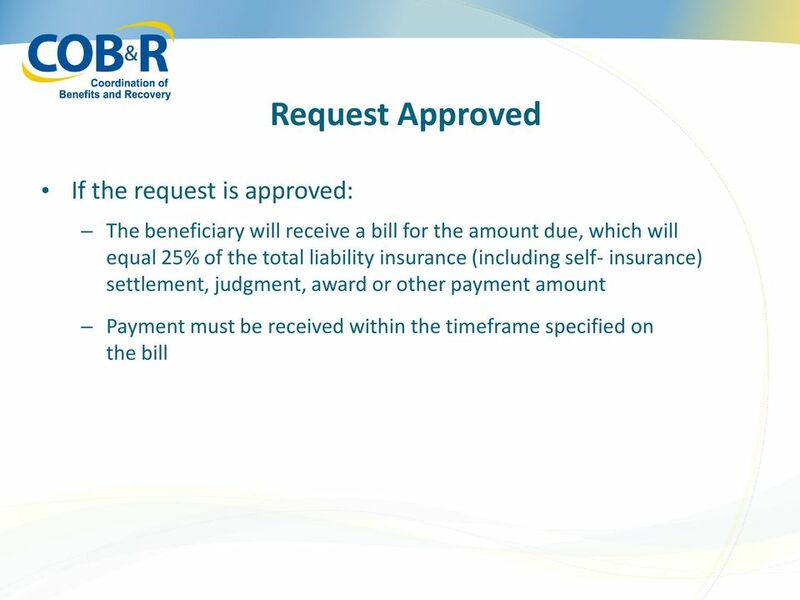 QUALIFIED INCOME TRUSTS. 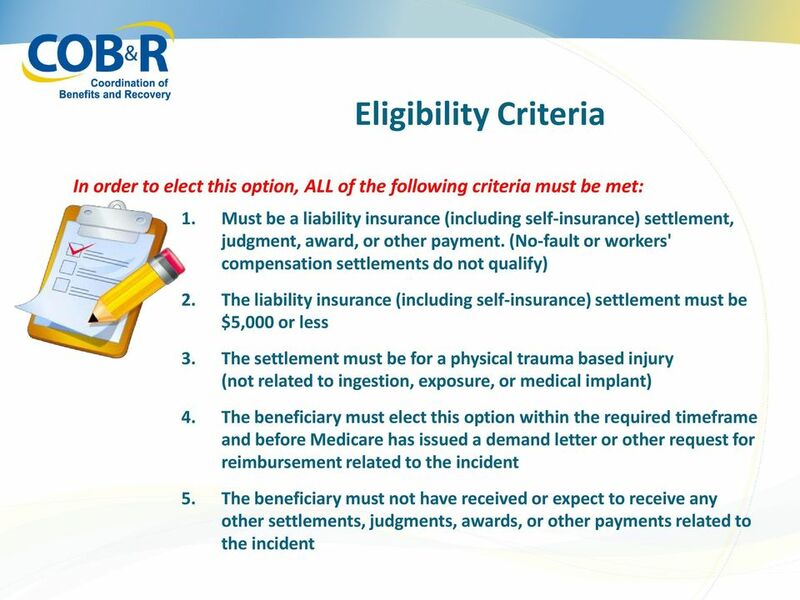 A Qualified Income Trust can only be used for applications filed on or after [INSERT DATE]. 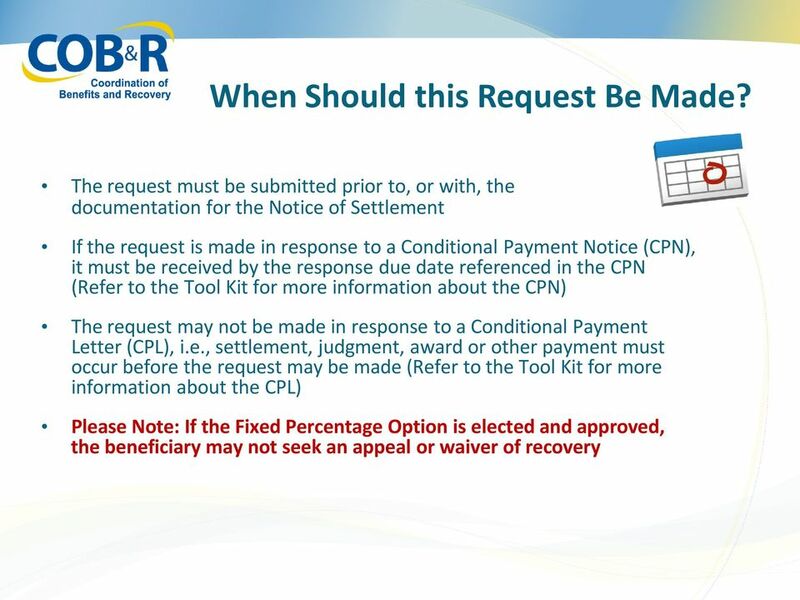 To Settle or Not to Settle? 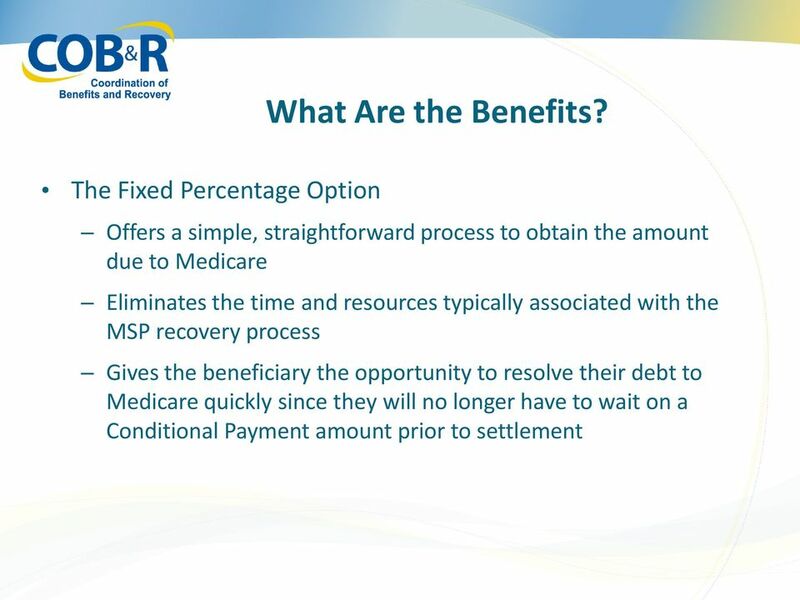 That Is the Medicare Question!